Is Rudy Davis working the “underground” for Kent Hovind? – Kent Hovind v. Robert Baty – The Great Debates! Home→Is Rudy Davis working the “underground” for Kent Hovind? 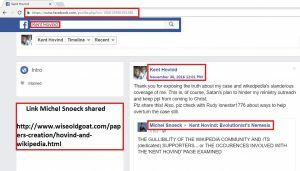 Is Rudy Davis working the “underground” for Kent Hovind? Some may recall how Kent Hovind recently set about on a publicity blitz to promote his “Kent Hovind Innocence DVD Series” for $50 with the promise of getting $1,000 in return if you did what he wanted as explained in one of the videos and the effort was successful. That series was the reported work product of Brady Byrum, whose work has been refuted and rebutted in separate articles on this page. About as quick as Kent got his blitz into high gear, he shut it down; perhaps in response to my answer to the phony legal arguments presented therein (or in conjunction with other unnamed influences). Kent reported that Brady Byrum would be handling the marketing via some Texas-based and/or Australian-based operations (no details given). Now it appears Kent is implicating Rudy Davis in some clandestine marketing effort related to that video series and Kent’s scheme to have a bunch of people write a bunch of stuff to a bunch of people with the claim that it just might result in getting a formal, national newsworthy, investigation of his case leading to the overturning of his 2006 convictions, the impeachment of Judge Margaret Casey Rodgers, and the awarding of up to $30,000,000.00 in damages to Kent Hovind. Rudy, what’s up with that? What are you telling people who contact you regarding ways to overturn Kent’s 2006 convictions?